It began with an article in the December 8, 2014 issue of THE NEW YORKER. Titled "The Ride of Their Lives," the piece was written by Burkhard Bilger and illustrated with pictures by a the photographer Jonno Rattman. I thought the writing was terrific. "Rodeo bulls, like the boys who dream of riding them, are unpredictable creatures. They can start out shy and skittish, then suddenly turn ornery." Whata fantastic opening. And the pictures accompanying the reporting were equally good. Black and white images of young cowboys and cowgirls, totally focused on the task at hand. "Around here, the notion of childhood as a safe, protected place - a benign bubble - seemed like poor training for life...rodeo made more sense." The photographs accompanying the text seemed to mesh perfectly with the author's tone and temperament, yet they were also definitely the work of an artist with a unique and clear vision. That article prompted me to find out more about photographer. 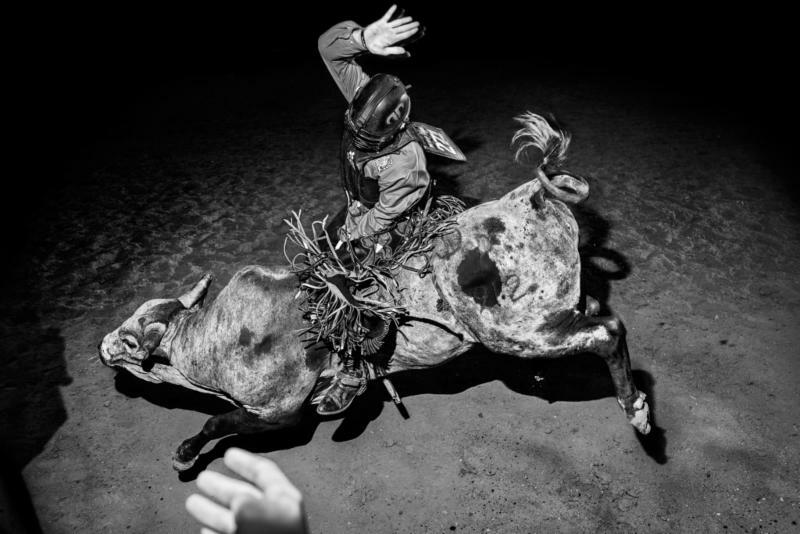 Jonno Rattman is a young photographer- he was only 23 when he went out on that rodeo assignment - and master printer. His pictures have appeared in The New York Times, The New York Times Magazine, The New Yorker, Bloomberg Businessweek, MSNBC, and the Daily Mail, among many publications. He has printed exhibitions for Rosalind Solomon, Gilles Peress, and Neil Selkirk for the Estate of Diane Arbus. He is an assistant designer at Yolanda Cuomo Design, a book and exhibition design studio in New York City. Rattman studied photography, anthropology, and art history, earning a BFA from New York University's Tisch School of the Arts. People are starting to notice this young artist's work.